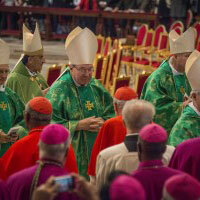 The final Mass at St Peter’s Basilica, Vatican City. Photography by Fiona Basile. 27 October 2015, by Archbishop Coleridge. 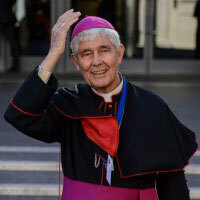 This entry was posted in Bishops, Special interest, Synod2015 and tagged Synod 2015 on October 27, 2015 by ACBC Communications. 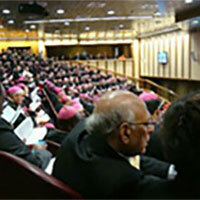 Archbishop Coleridge in Paul VI Hall. Photo by Fiona Basile. A few of my blog posts were brought up in this interview with Noel Debien – from ABC Radio in Australia. 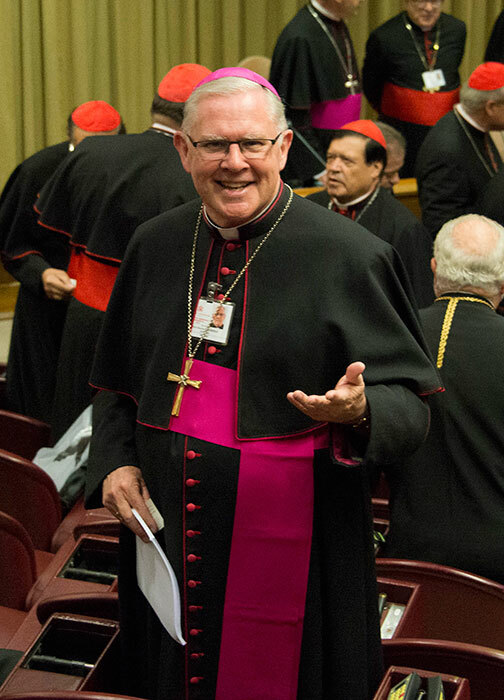 We were able to speak about many Synod moments in the 30-minute interview. 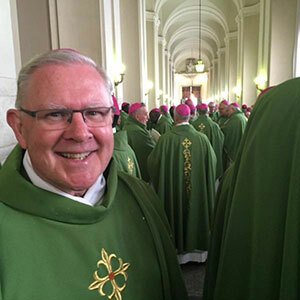 I enjoyed speaking with Noel before the final Mass of the Synod. I told Noel: “There has been a genuine step forward on a long and complex journey to try to deal with people in a way the respects the truth … but at the same time accompany people. 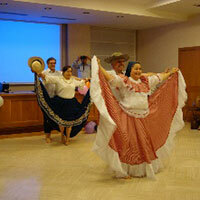 Don’t just hurl doctrine in their general direction. 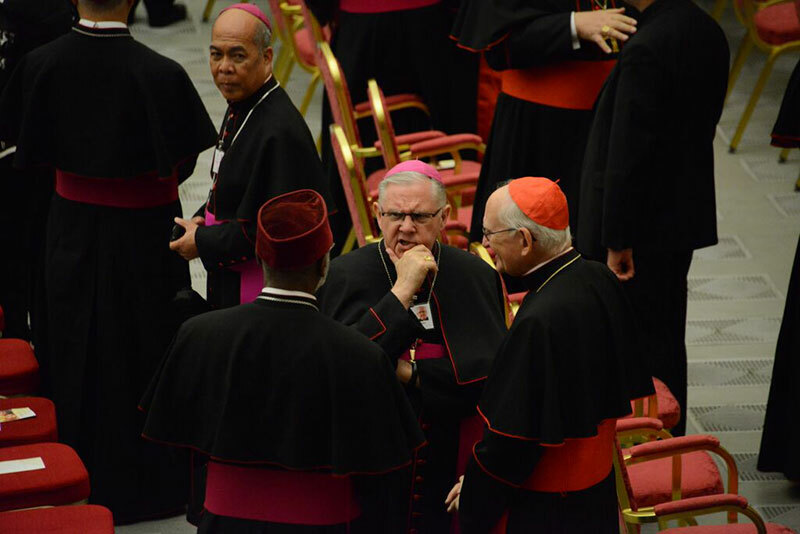 If there was any word that came to dominate the language of the Synod, it was accompaniment. In other words, you have to walk with people. 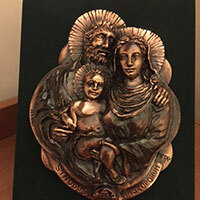 This entry was posted in Synod2015 on October 26, 2015 by ACBC Communications. 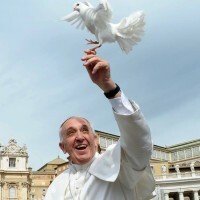 The Pope packing up his things at Synod’s end after he’d given another stirring talk. 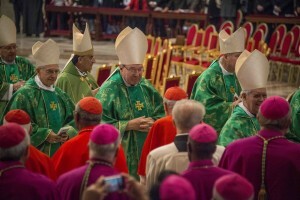 Cardinal Pell can also be seen. A bit like Where’s Wally? 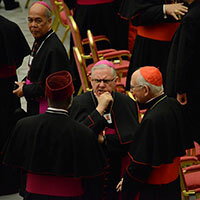 When we returned to the Synod Hall yesterday afternoon for voting, there was another touch of high farce – an unscripted skit to finish this Synod of surprises. 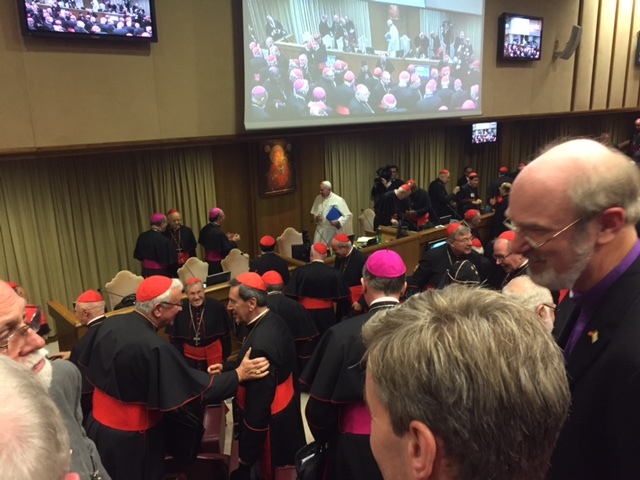 After we’d recited the Adsumus prayer (used daily at Vatican II), the president of the day welcomed us back and then passed the microphone to the Secretary General, as he normally did. 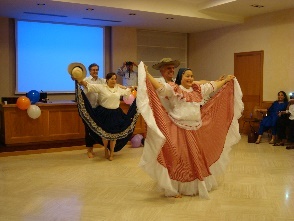 Dancing at the close of the week. 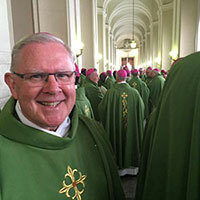 Bishop of Darwin, Eugene Hurley, representing ACBC at the Synod. Photo by Fiona Basile. 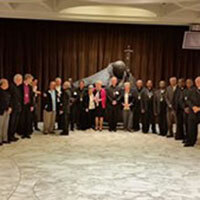 This entry was posted in Synod2015 on October 23, 2015 by ACBC Communications. 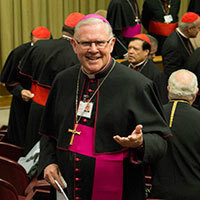 Archbishop Coleridge discusses Synod business with brother bishops. Photo credit: By Fiona Basile. 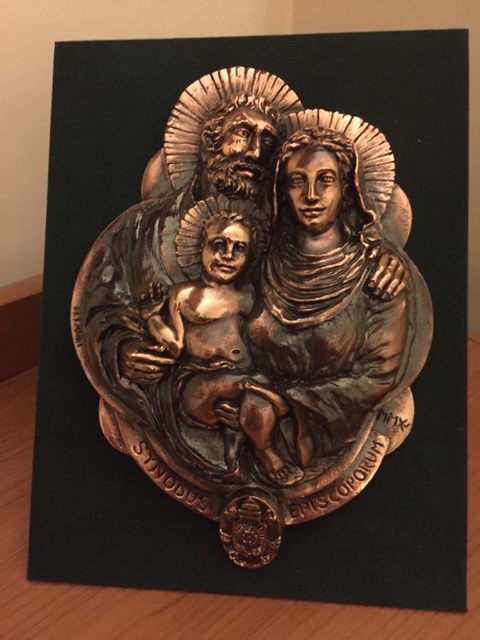 This entry was posted in Synod2015 on October 22, 2015 by ACBC Communications. 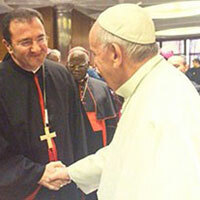 Bishop Tarabay greeting Pope Francis during a break at the Synod on the Family. 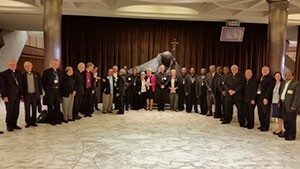 I am currently in Rome, participating in the 14th Ordinary General Assembly of the Synod of Bishops on “the vocation and the mission of the family in the Church and in the contemporary world” and I am pleased to share with you some aspects of this experience so far. 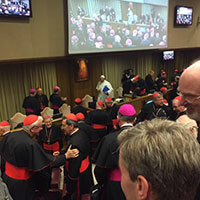 This entry was posted in Synod2015 on October 21, 2015 by ACBC Communications. The work of the Synod is taking more shape as we finished the second week of relentless presentations and conversations, and much fantastic pasta and just a few glasses of wine.